Vivienne Westwood and Monks arrive at the Burma VJ UK Film Premiere at BAFTA on July 14, 2009 in London. The UK premiere of the award-winning documentary ‘Burma VJ’ was held on 14 July. Organised by the Co-operative, the Saffron Premiere’ was hosted by Vivienne Westwood at BAFTA in London, and simultaneously screened via satellite link-up to over 40 cinemas around the country. 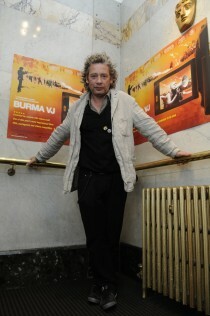 Dexter Fletcher arrives at the Burma VJ UK Film Premiere at BAFTA on July 14, 2009 in London. 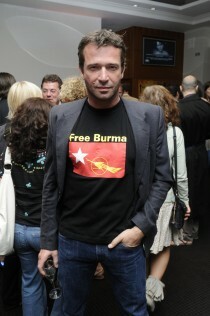 James Purefoy arrives at the Burma VJ UK Film Premiere at BAFTA on July 14, 2009 in London. Jose Darby arrives at the Burma VJ UK Film Premiere at BAFTA on July 14, 2009 in London. 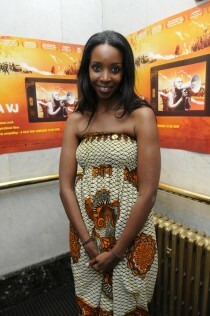 Amber Aikens arrives at the Burma VJ UK Film Premiere at Bafta on July 14, 2009 in London. ‘Burma VJ’ tells the remarkable story of the brave young video journalists who, using hidden cameras, put their lives on the line to tell the real story of the 2007 uprising in Burma and the subsequent crackdown by the ruling military regime. They now face up to 65 years in prison for simply recording the events in the film. The award-winning documentary ‘Burma VJ’ tells the remarkable story of the brave young video journalists who, using hidden cameras, put their lives on the line to tell the real story of the 2007 uprising in Burma and the subsequent crackdown by the ruling military regime. They now face up to 65 years in prison for simply recording the events in the film. Now you can organise a public screening of Burma VJ. The film distributers, Dogwoof, now have an online booking system. To book Burma VJ and receive a license to screen this film once and a copy of the film on DVD, click here.